Earlier in April a couple StickerYou team members were lucky enough to attend the Craft Brewers Expo in Washington, DC. We had a great time talking to brewers from all over about their craft and products, as well as using custom beer labels and other promotional opportunities. Now, undisputedly, in the craft brew industry, you live and die by the quality of your product. A great marketing plan will only take you so far if your beer isn’t good. Conversely, while having a quality craft beer is a major part of success, that alone is rarely enough to take your business where you want it to go. 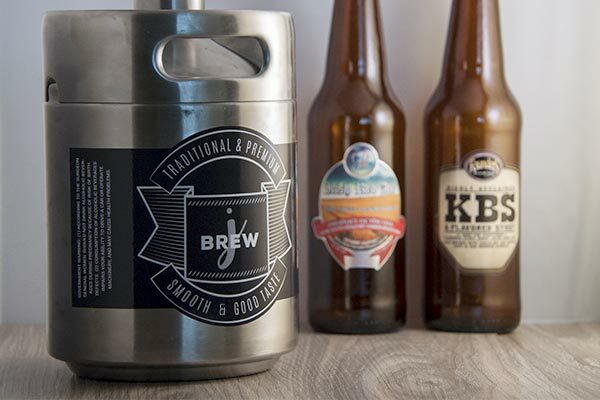 Behind a successful brewery you’ll often find a carefully crafted mix of quality beers and quality marketing. While we’ll leave the brewing to the brewmasters, here are some surefire ways to help improve your brand identity and build brand awareness. The obvious starting point here is beer labels. A creative label can go a long way in helping your brand to stand out amongst the competition. 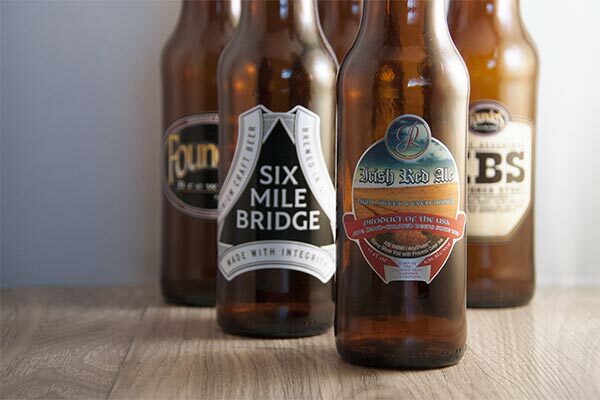 StickerYou has a variety of different label template options specifically designed for beer bottles, including oval beer labels, bottleneck labels, bottlecap labels and more. Check them out here. These templates fit perfectly to standard bottle sizes and can be edited and customized to your preferences based on colors, text, dates, pictures and more. 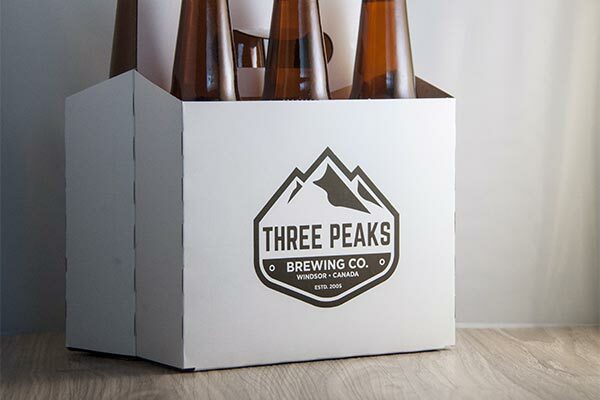 They’re particularly handy for creating custom labels for various uses: specialty brews, such as a holiday beer; gifts; special events; or simply for testing out different designs to see what works best for your brand. Plus, no minimum order quantity means that you can test as many different label designs as you want without having to order more than you need. Brewing for growlers, kegs or mini-kegs? We've got templates for those too. Maybe you’ve already got a sweet label design that fits your brand identity. No need to fear, upload your design to our StickerMaker, adjust the sizing to fit your needs and select what material you'd like to use. Should you desire, you’ll be able to select a die-cut finish for your label, which can really help to enhance the effect of your awesome design. Branding doesn’t stop with your label though. As many craft brewers know, networking can be a big part of running a successful craft brewery. It’s about attending industry events, getting your brand out there, meeting the flocks of self-described "craft beer aficionados” and giving them a sampling they won’t soon forget. And by “sampling” we don’t just mean beer. Of course, your beer is a huge part of this, but go beyond the beer. Promotional giveaways are a great way to help your brand stand out from competition. While they may taste-test dozens of beers at a craft beer fest, if they walk away with your brand’s logo stickers, temporary tattoos, or even iron-on t-shirts, that’s what will stick. Another great way to attract customers and teach them about your brand and product is through brewery tours. 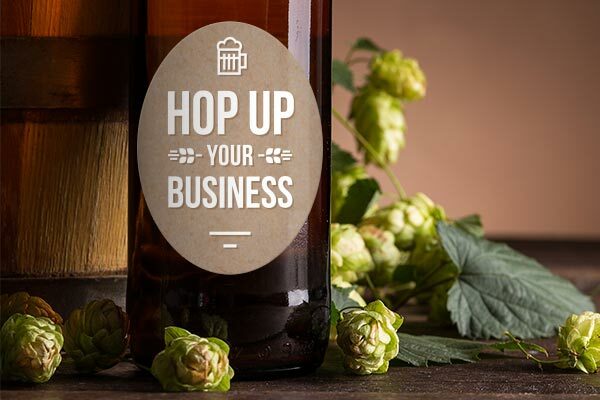 These behind-the-scenes tours are an excellent opportunity to connect with customers on a personal level and give them insight into the process that goes into brewing your delicious beer. If you’re considering the brewery tour route, you’re going to want to make sure your brewery looks its best. Custom wall decals are a simple way to add some color to an empty space without having to break out the paint brushes. You can use a nice logo wall decal if you want to keep it simple. Decorative wall decals, vinyl wall graphics and vinyl lettering are other great options if you’ve got other art or brand imagery you want to use. 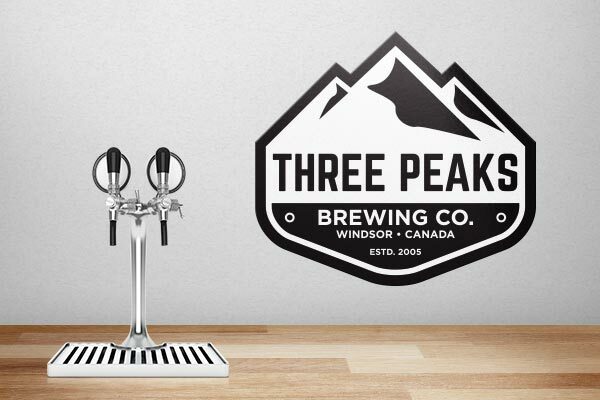 If you're a brewpub, or have a space dedicated to serving your product, wall decals and floor decals can be useful in helping to decorate this area in a creative way as well. If you really want to create a branded look, you can also use custom iron-on transfers to create t-shirts or aprons as part of your employees' uniforms. Maybe you're selling six packs of your beer at the brewpub as well. 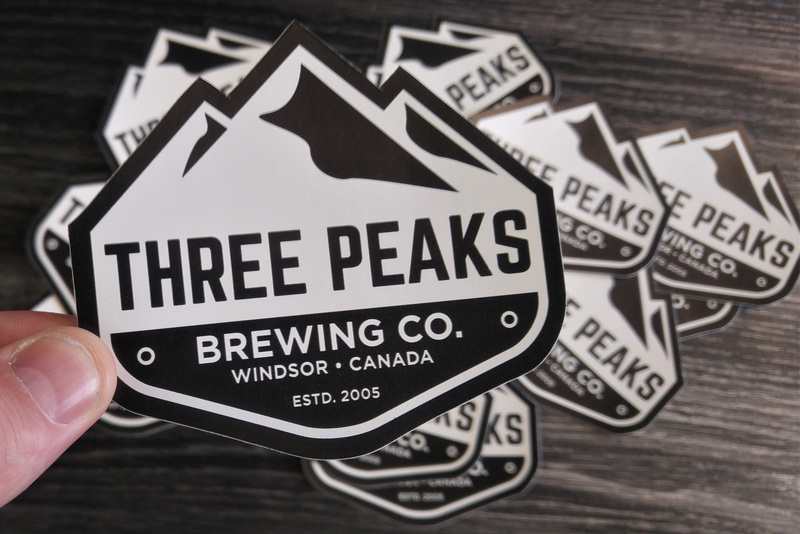 Custom logo stickers can be a great way to brand your packaging in a quick and effective manner. The key to great marketing, in craft beer and elsewhere, is to create a consistent identity across the board. 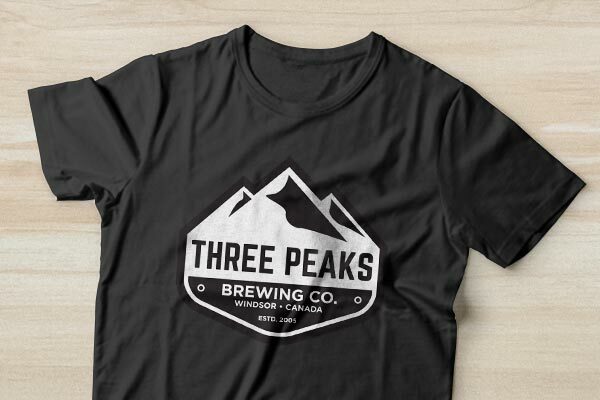 Using consistent brand imagery across labels, promo items such as custom stickers, temporary tattoos or t-shirts, and wall decals in your brewery or taphouse creates a brand identity that your customers can easily identify with, which in turn will help to keep your beer top of mind when they’re feeling thirsty. So get started on your own custom beer labels, logo stickers, and more right here at StickerYou!